Coffee is one of the largest commodity crops in the world, with people consuming more than 2.25 billion cups every day. Climate change is predicted to decrease the area suitable for growing coffee by as much as 50 percent by 2050. Differences in temperature and rainfall patterns are already making the crop more susceptible to diseases and pests. But researchers at the University of California, Davis, have taken a major step that could lead to the development of new disease-resistant varieties adaptable to climate change. 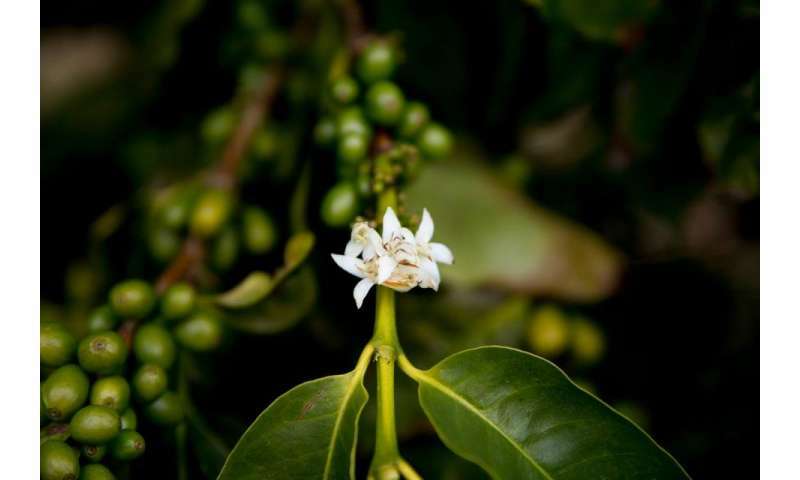 In 2017, UC Davis geneticists sequenced the Coffea arabica genome and released it to the public for the first time. Coffea arabica is a species responsible for 70 percent of global coffee production. The new genome sequence has been posted to Phytozome.net, the public database for comparative plant genomics coordinated by the U.S. Department of Energy's Joint Genome Institute. It is available for use by scientists and plant breeders around the world. 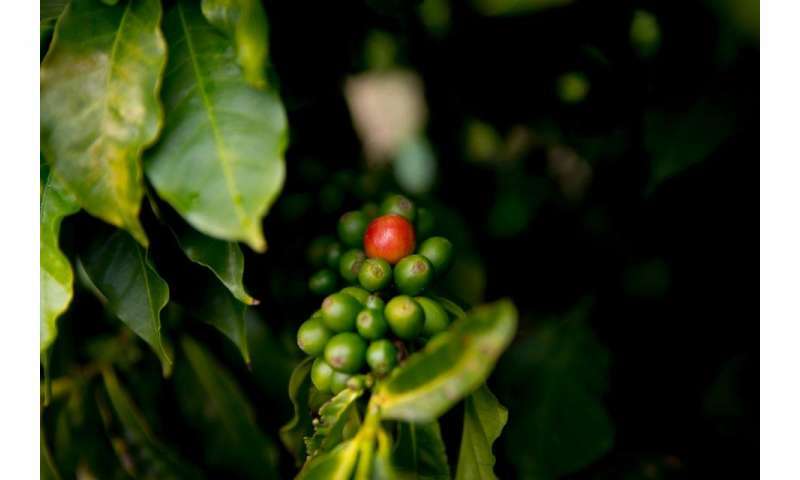 "This new genome sequence for Coffea arabica contains information crucial for developing high-quality, disease-resistant coffee varieties that can adapt to the climate changes that are expected to threaten global coffee production in the next 30 years," said Juan Medrano, a geneticist in the UC Davis College of Agricultural and Environmental Sciences and co-researcher on the sequencing effort. "We hope that the C. arabica sequence will eventually benefit everyone involved with coffee—from coffee farmers, whose livelihoods are threatened by devastating diseases like coffee leaf rust, to coffee processors and consumers around the world," he said. The sequencing was conducted through a collaboration between Medrano and UC Davis plant scientists Allen Van Deynze and Dario Cantu. A few years ago, Medrano—born and raised in coffee-producing Guatemala—was urged by colleagues in Central America to consider introducing genomic technologies to improve C. arabica. In 2014, researchers elsewhere sequenced the genome of Coffea canephora—commonly known as robusta coffee and used for making coffee blends and instant coffee. There has been, however, no publicly accessible genome sequence for the higher-value and more genetically complex C. arabica. Medrano was intrigued with the challenge to sequence C. arabica, but as an animal geneticist was experienced in the genomics of livestock—not crops. Coffee is a tropical crop, traditionally grown around the world in a geographic belt that extends no more than 25 degrees north or south of the equator. But at Ruskey's Central Coast farm, coffee trees are producing high-quality coffee beans at a latitude about 19 degrees north of any other commercial coffee plantations. Working with Ruskey, the UC Davis researchers collected genetic material—DNA and RNA samples—from different tissues and developmental stages of 23 Geisha coffee trees growing at Good Land Organics. Geisha, known for its unique aromatic qualities, is a high-value C. arabica variety that originated in the mountains of western Ethiopia. 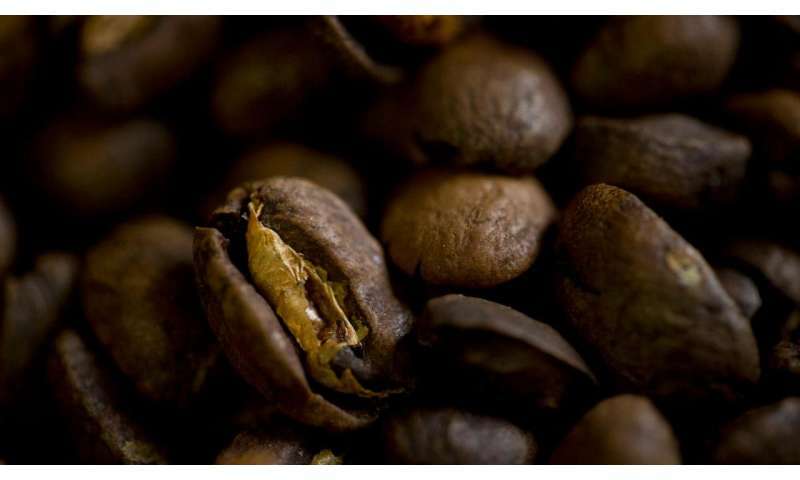 Plant material from one of the trees—UCG-17 Geisha—was used for developing the C. arabica genome sequence. C. arabica is a hybrid cross derived from two other plant species: C. canephora (robusta coffee), and the closely related C. eugenioides. As a result of that hybrid crossing, C. arabica's complex genome has four sets of chromosomes—unlike many other plants and humans, which have only two chromosome sets. Using sequencing technology developed by Pacific Biosciences of Menlo Park, California, the UC Davis researchers estimated that UCG-17 Geisha has a genome made up of 1.19 billion base pairs—about one-third that of the human genome. "Having worked in the coffee industry for over 40 years and visited coffee farms around the world, I have never witnessed as many quality C. arabica coffee farms under duress due to deteriorating social issues and the impacts of climate change," said Kawashima, who was not directly involved in the genome sequencing effort. "Therefore, it is urgent that this scientific discovery be used to implement practical improvements at the farm level to sustain the future of the coffee industry," Kawashima said. "If sustainability can be achieved at the coffee producer level, then coffee lovers in consuming countries can continue to enjoy quality coffee." "We anticipate that functional analysis of the genes identified by the C. arabica sequencing will lead to development of new, disease-resistant coffee varieties with enhanced flavor and aroma characteristics," said Yoshikazu Tanaka, senior general manager for Suntory Global Innovation Center Limited. "The Suntory Group will continue its research and development efforts to identify formulas and raw materials for creating coffee beverages that have higher added value, with a focus on safety, security and good taste," Tanaka said.